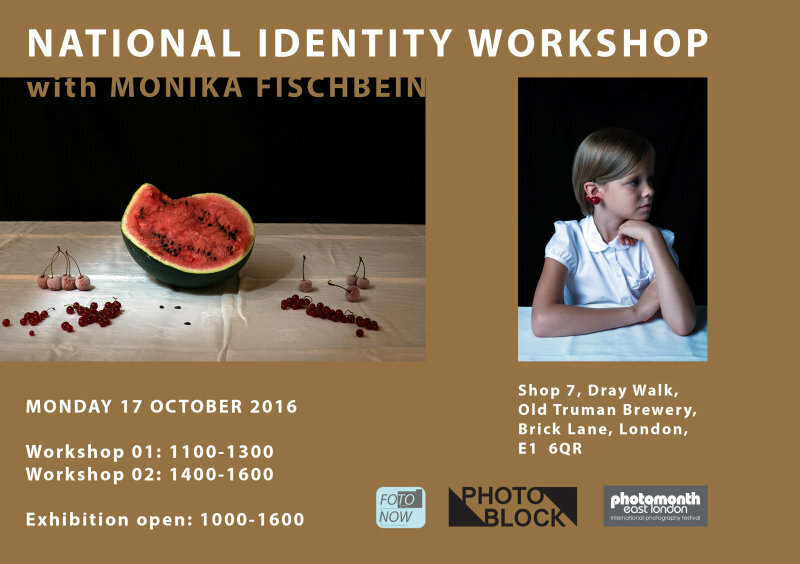 The National Identity Workshop, with image-maker Monika Fischbein, involves participants in a discussion which addresses the different approaches exploring how do people’s nationality affect their artistic intellect and how does this impact on contemporary society? The workshop, hosted by Fotonow (Community Interest Company) responds to current needs within the changing face of modern culture. The workshop format offers additional layers to cross-cultural directions, the method involves the use of collaborative approaches to writing, sharing, and analysing personal stories of experience. Immigrant artists/makers photographed (portraits) and interviewed and then become part of Fischbein’s project, with artefact documented for greater complexity, bringing together variety of objects to communicate allegorical meanings relating to displaced identity.